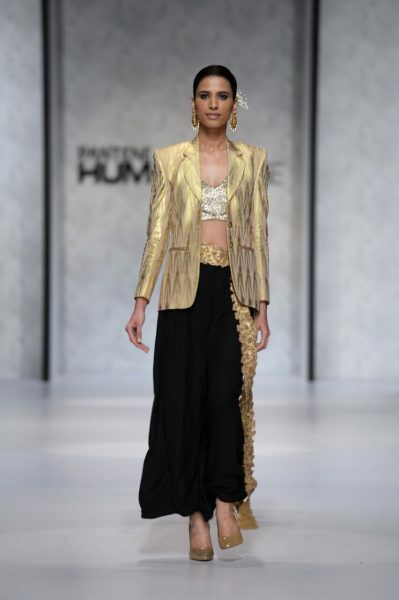 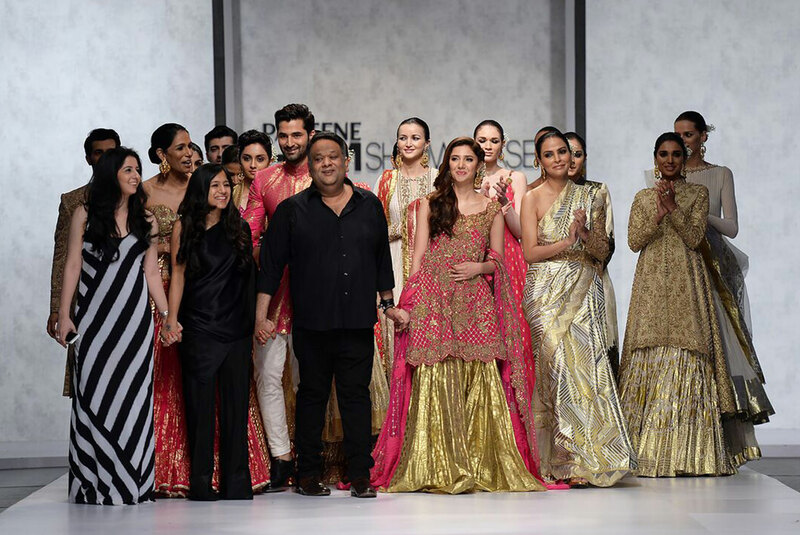 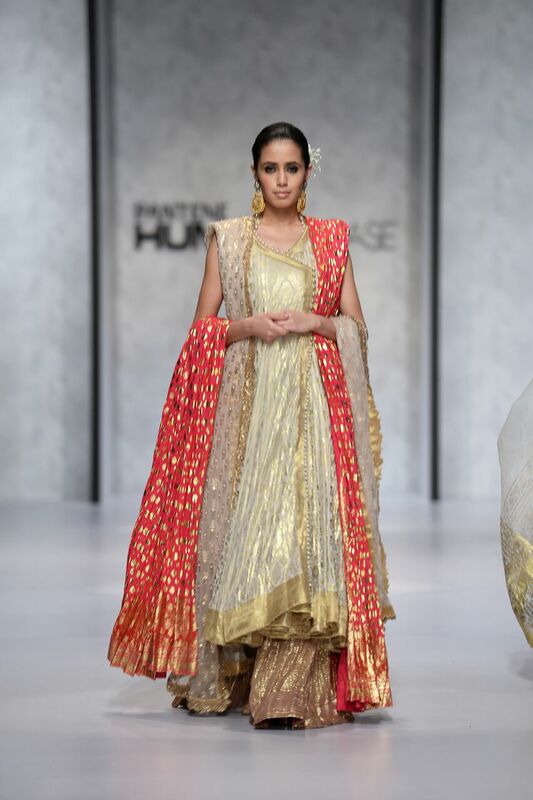 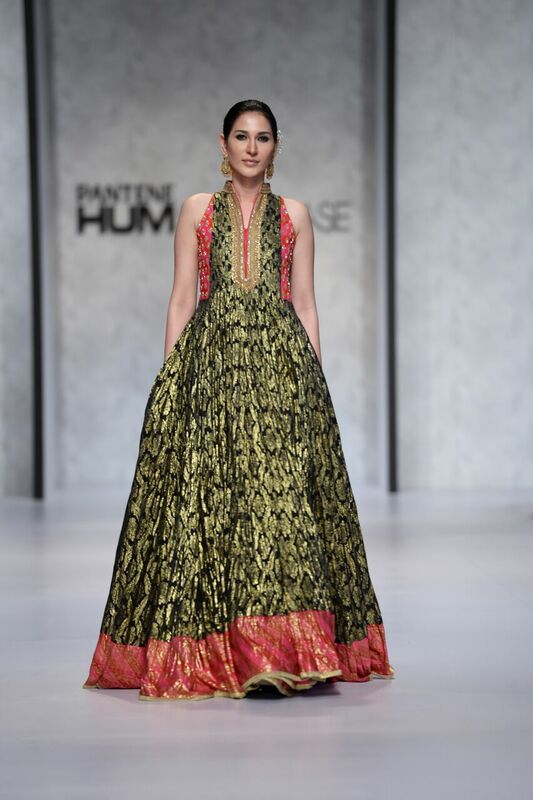 This year, Umar Sayeed presented his collection “Good as Gold” at the Pantene Hum Showcase 2018. 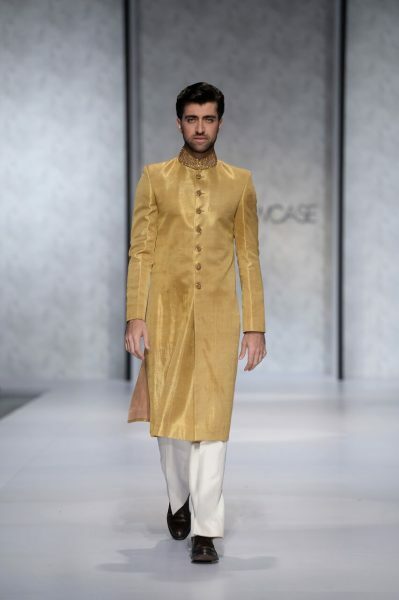 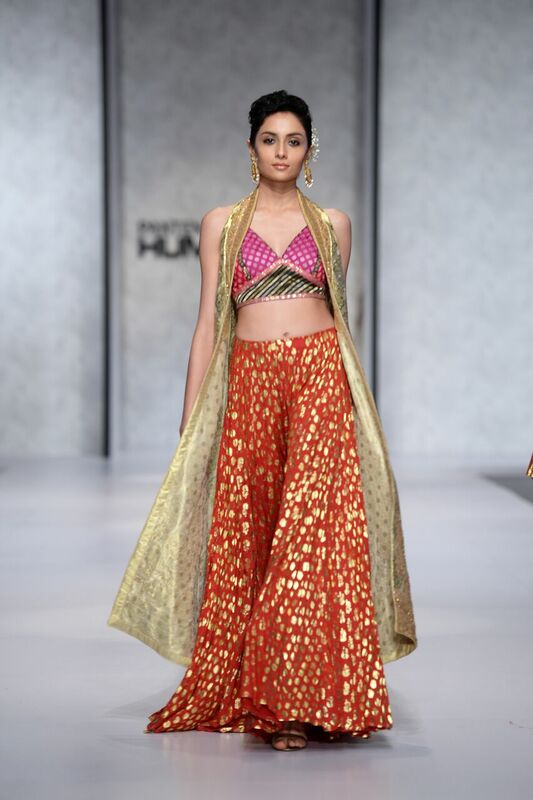 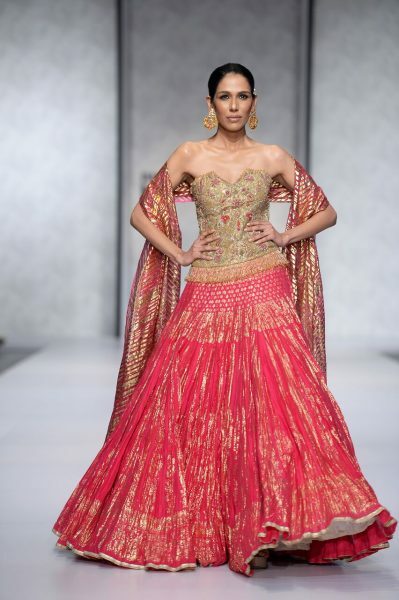 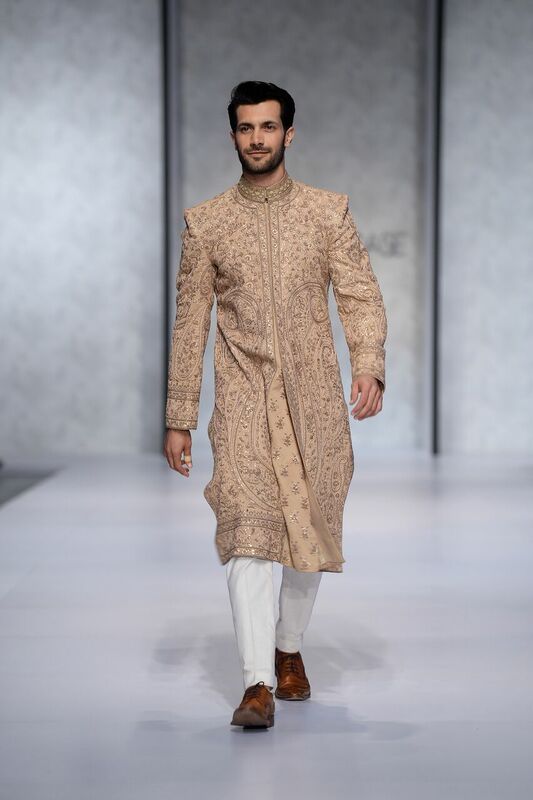 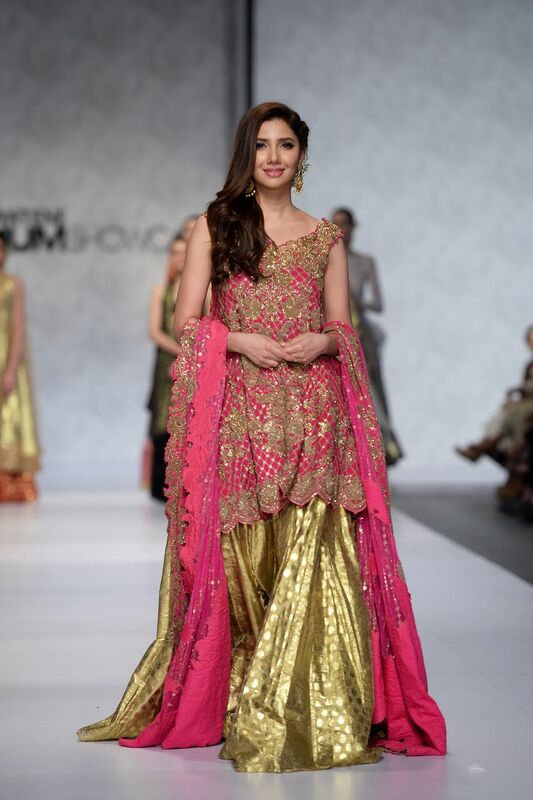 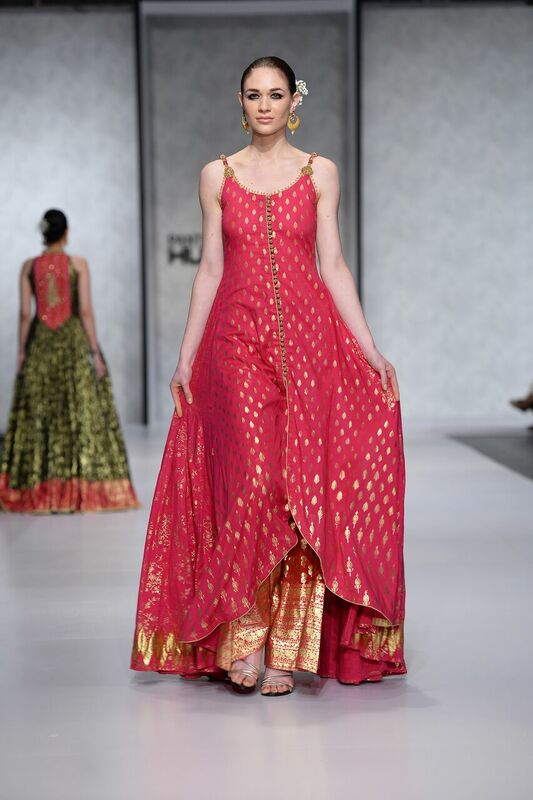 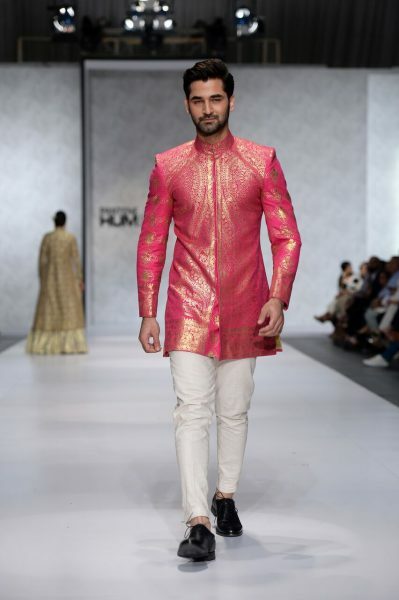 Umar Sayeed spells The Gold Standard in Pakistani Fashion. In the first edition of Hum Showcase he experimented with denim to pay a tribute to Karachi’s legendary Zainab Market. This year, with ‘Good as Gold’, this year he returns to the ramp of Hum Showcase with his first love –Cotton. 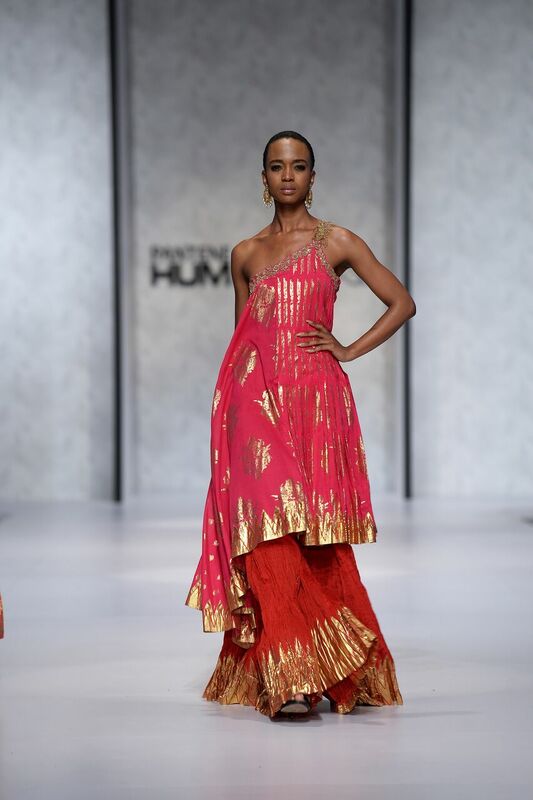 Forming a synergy with textile design duo Khadija and Ayesha, Sayeed luxuriously employs foil printing technique to adorn his voluminous pieces. 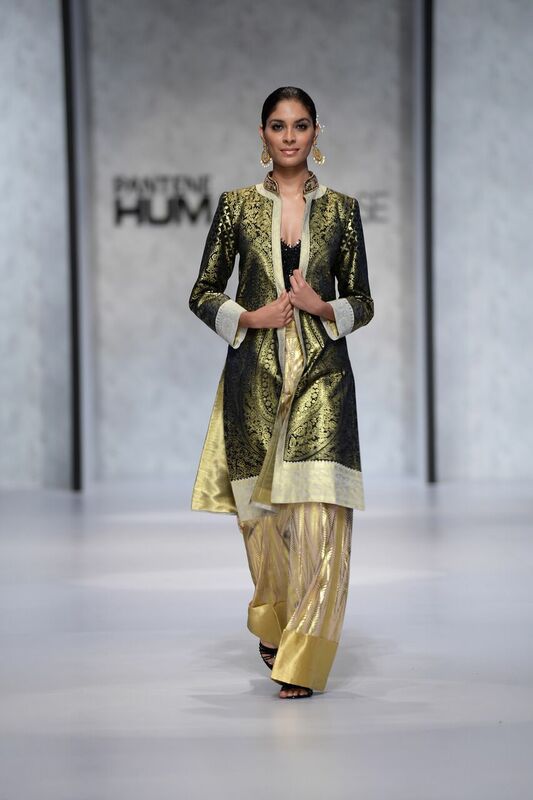 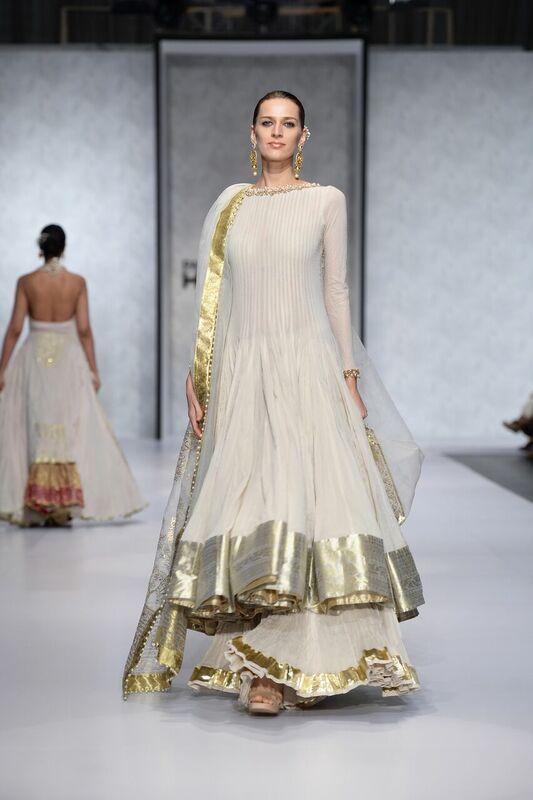 The ornate hand drawn patterns in gold cast a mesmerising spell on the outfits. Simple silhouettes, exaggeratedly flowing volumes and hand-crush, all lend a certain sense of regality to ensembles. 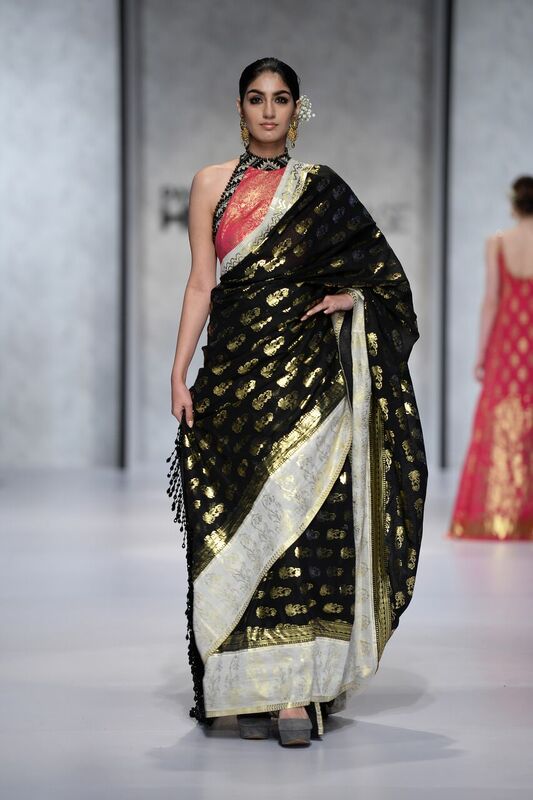 On Sayeed’s favourite hues of ivory, black and fuchsia, with a splash of red and gold, foil printing glistens like amber infused waves dancing on the shores on the fabled Gold Cost. 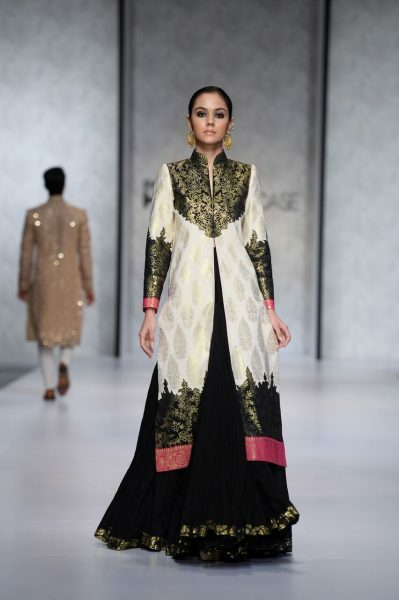 His signature embroidery, sparingly but intuitively used in some numbers, acts as the final seal of perfection on the collection. 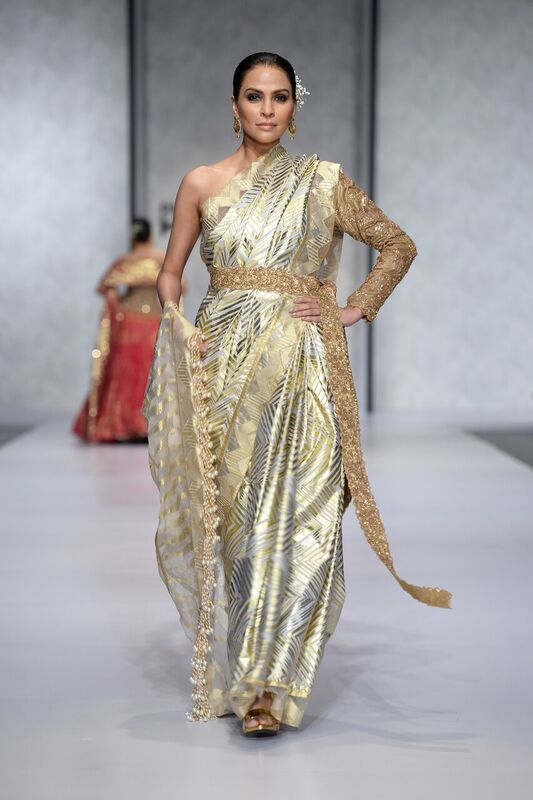 The Midas of Fashion not only converts foil printing to an art form but turns crisp cottons into pure gold. Good as Gold also excavates the hidden gold digger in even the most contented ones among the mortal souls. 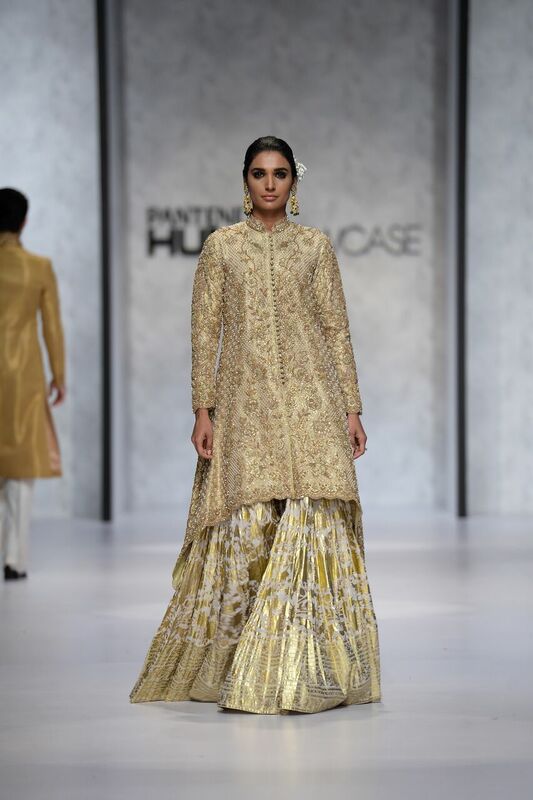 Nothing less is expected of Umar Sayeed, the sorcerer of beauty, elegance, and creativity.